The origins of Valentine’s Day is still unknown but one of the most common theories suggests that in 270 AD, during times of war, Emperor Claudius II forbade young men to marry as he feared that they would become poor soldiers. Bishop Valentine continued to marry young couples in secret and was caught and sentenced to be executed on February 14. While he was in gaol, the Bishop wrote a letter to a woman signed “from your Valentine”. In the 1800’s physicians often prescribed chocolate for patients who were pining for a lost love. The oldest known Valentine Gift is a woodcut from the 15th Century which depicts a knight receiving flowers from a lady. In those times, it was more common for women to give men flowers. Richard Cadbury produced the first box of chocolates specially for Valentine’s Day in the late 1800’s. The red rose was the favourite flower of Venus, the Roman Goddess of love. In Finland, they celebrate ‘Friends Day’ instead of Valentine’s Day. The saying ‘to wear your heart on your sleeve’ was coined after a practice in the Middle ages where men and women drew names from a bowl to determine who their Valentine would be. They would then wear that name pinned their sleeves for one week. 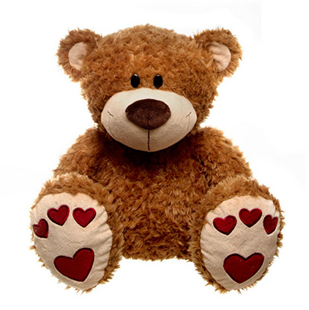 An alternative to celebrating Valentine’s Day is Singles Awareness Day (or SAD for short). After roses, the most popular flowers sent on Valentine’s Day are gerberas, lilies and irises. The traditional red rose is becoming less popular nowadays with many women preferring brighter flowers. 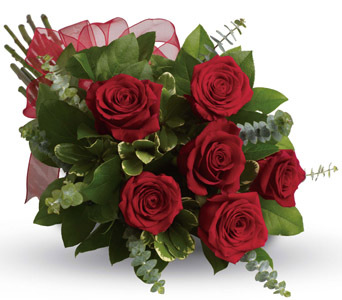 To look at a great selection of roses or order flowers for Valentine’s Day online click here. Be quick as stock is limited!